Moses Toata has been officially appointed as the new Solomon Islands Football Federation (SIFF) Technical Director after the departure of Spaniard Felipe Vega-Arango. Toata is the country’s only coach with an OFC B License and currently pursuing his OFC A License. He was part of the golden generation that held Australia to a 2-2 draw during his playing days with the Solomon Islands national team. The former Solomon Islands international won five Telekom Super League titles with Solomon Warriors during his 12-year stint as a coach. 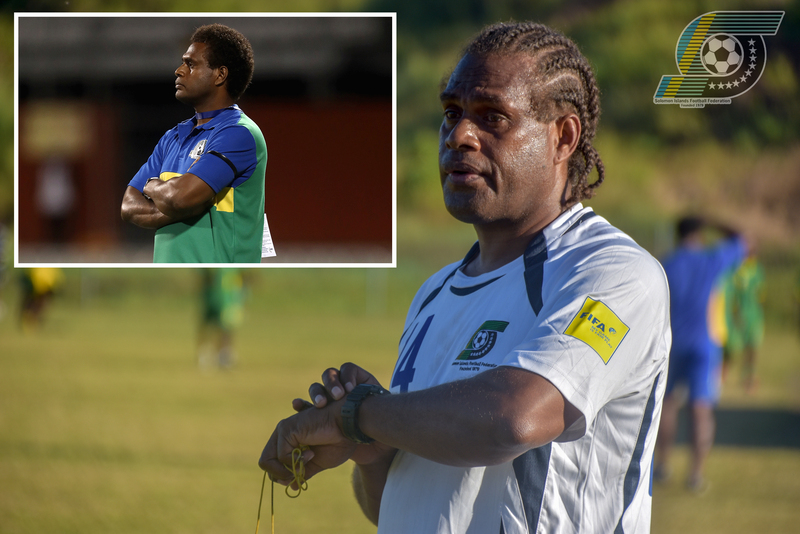 As national team coach, Toata led the Solomon Islands to a semi-final finish at the 2012 OFC Nations Cup in Papua New Guinea which helped the country reached the later stages of the 2018 FIFA World Cup qualifying stage. Recently, Toata guided the Solomon Islands to two international friendly match wins against Asian Confederation countries Macau and Chinese Taipei. Fronting the local media today, SIFF CEO, Leonard Paia officially announces the appointment of Toata at the SIFF academy in Honiara. “Today, I want to officially announce the appointment of Moses Toata as the new Technical Director (TD) for the technical department of the Solomon Islands Football Federation (SIFF),” he said. The SIFF general secretary said he has a firm belief in Toata to carry out the job required from the technical director. “We have full confidence in Moses to help us in our development aspirations in the coming years. “Moses has accepted the responsibility and he is willing to take up this role. Although it’s a challenging role I think it’s about time that we Solomon Islanders should take up such responsibility and help ourselves to move forward in our football development,” Paia added. Toata said he is excited to take up the role of the technical director despite the many challenges that lie ahead along the way. He stated that the former technical director has left a huge gap and set up a good platform to continue on the same development path. “To be honest, for myself this position is the most important when we talk about football development. If we want to move football forward this director’s position is very important. That’s why I still believe Felipe is the best technical director we have had,” he said. Toata highlighted that one of the changes Felipe made is the establishment of a framework for our football development in the provinces. “As a technical director, my scope of responsibility is quite big because I have to deal with my department and extending my work to the provincial football associations. When I talk about this, I am referring to the whole country. “My work as a technical director it covers four aspects of football. Number one is mass football, it means as much as possible increase the number of people play football and involve in the sport. “My second most important role is coach education, so as much as possible train many coaches which will improve the level of play. Already we have a clear pathway to do this. Elite football where it deals with senior teams and starting with an academy. At the moment we don’t have a proper national academy setup. I am looking to set up one very soon which will require the help of coaches and clubs that already exist because we need to work on a framework where we start from the production level and stated what we want to achieve in a certain period of time,” Toata explained. Former TD Felipe said in his farewell remarks that in order for Solomon Islands football to progress the children need to play and Toata is signing the same chorus. “At the moment, personally I think it is not right while administration work is going on in the office and there is not a single kid is kicking the ball out on the pitch,” the former Solomon Warriors tactician stressed. The new technical director is aspired to advance the registration of players as he is looking forward to fully implement the newly introduced COMET which is linking with FIFA connect as an online database for national federations around the world. “Another thing I want to work on is documentation and research. So when I talk about documentation and research, the media will be involved, doing research where the level of our football is in relation to other regional member associations. “Also try to establish a database where we can easily access not only on a national level but even at the PFA level as well. We can only learn from the recent national U-17 case because we don’t have available data to verify our registrations. “We also need to know how many people are actively participated in football. We need to go out and work with the development officers in the provinces to get the right information,” Toata stated. Meanwhile, Toata’s immediate tasks will be the appointment of national coaches for both women and men youth national teams namely the national U-19 Women’s team and the national U-23 men’s team for the 2020 Tokyo Olympic qualifiers in September to be held in Fiji. “For now, my immediate task is number one to find coaches for our national teams and help select national teams. The two Netherlands coaches are soon to arrive in the country and I will also help to select the national senior team. The 40 players we selected for the Pacific Games is what I’m currently working on,” Toata said of his urgent tasks.